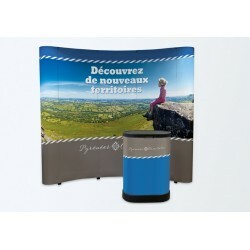 This kit consists of a counter and two roll-ups and can be set up very quickly thanks to its easy opening. 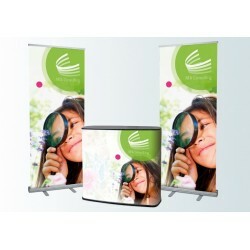 You'll get an immediate visual impact! 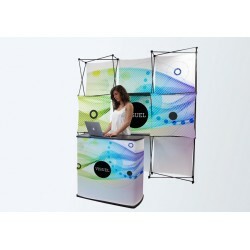 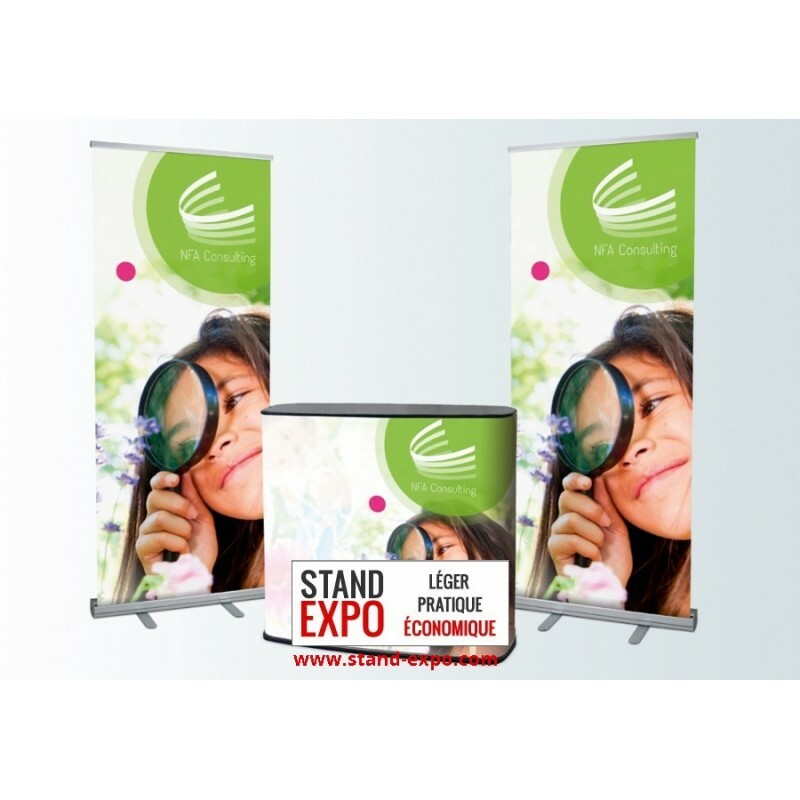 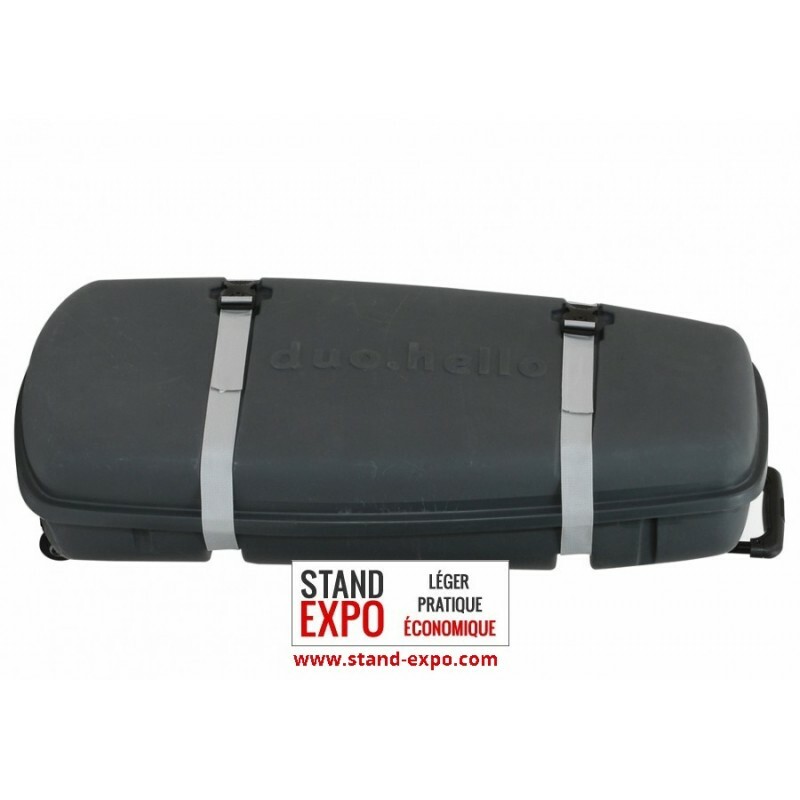 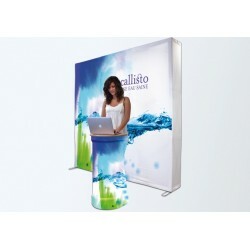 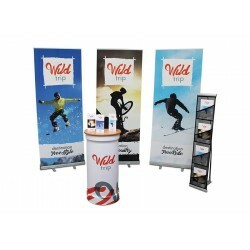 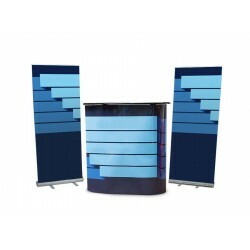 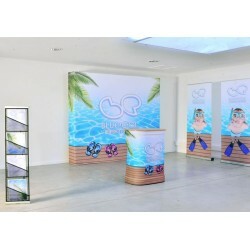 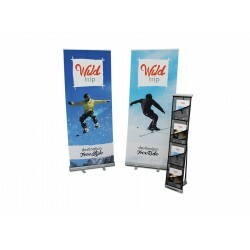 Consisting of a reception counter and two roll-ups, this stand in kit will allow you to highlight quickly your sales offers thanks to its ease of assembly.